Washington State University is a special place for many reasons. The community atmosphere here pulls and keeps people together, while we are still in school and after we graduate. This university presents its students with multitudes of professional development, humanitarian, volunteer, social justice, and many other opportunities. Being from WSU fills me with a sense of pride, and Health & Wellness Services (HWS) contributes greatly to this. For two years, I have been a mental health awareness advocate, working tirelessly to improve our campus community and make it one that is accepting and understanding of mental illness and mental health difficulties. This would not have been possible without HWS. Victoria Braun, a health promotion specialist and suicide prevention coordinator that works there, has been invaluable to this goal. Two years ago, when I approached Victoria with an idea to start a registered student organization for mental health awareness, she immediately jumped on board. Through the development of our current organization, To Write Love On Her Arms (TWLOHA) WSU, Victoria has been an adviser and friend who has helped in innumerable ways. We have organized everything from simple tabling events all the way to a mental health awareness week in collaboration with HWS and ASWSU. Our crowning achievement so far has been a spoken word event entitled “Hope”, during which a dozen performers of everything from music to spoken word shared their experiences with mental health difficulties in the context of hope for the future. It was a highly-attended event, and audience feedback indicated it was a meaningful experience. Victoria’s impact on the community has been great, but so has her impact on me. Oftentimes, I find myself thinking of things through the way she would. I wonder about what she would think or say, how she would respond to the situation. Her instruction and teachings will stay with me, and her expertise and ability to impart knowledge so easily show how high-caliber and useful HWS is because of the people it employs. I am passionate about mental health advocacy for a myriad of reasons, but one of the most significant being that it is a profound need on college campuses around the nation. My hope is to destigmatize mental health difficulties, and to get students to start the conversation concerning mental health. It is only by achieving this that we can create a compassionate and understanding community, and HWS has been integral to the progress we have made. Even outside the realm of mental health advocacy, the health promotion team at HWS works tirelessly to keep students healthy in every way. Being a holistic wellness facilitator for HWS, I have witnessed this first-hand and been able to contribute. 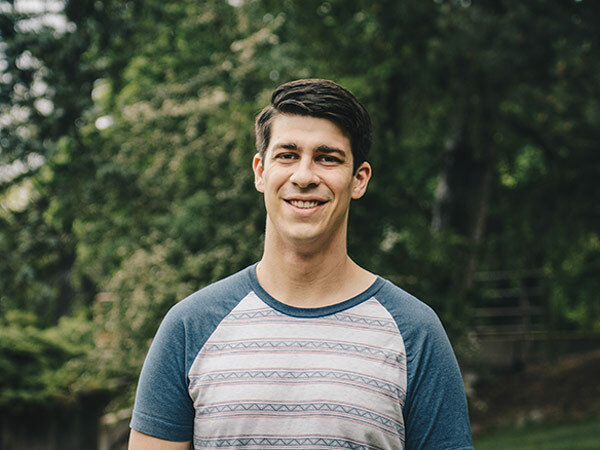 Taylor Schwab and his team have created pertinent and meaningful workshops, presentations, and events to promote healthy lifestyles for the benefit of the students at WSU. Participating in these and working with HWS as a facilitator has given me an appreciation for preventative medicine. The work of people like Taylor and Victoria is incredibly important to the overall health of the WSU community, and being able to work with them has taught me the importance of health promotion, constant learning, professional development, and many more aspects of health that has prepared me for my own future. As a pre-med student hoping to become a physician, the experiences I have had with HWS have been learning opportunities I will not soon forget. James Whitbread is a senior at WSU completing a B.S. in theoretical mathematics, having completed minors in sociology, chemistry, molecular biosciences, and biology. Throughout his time at WSU, he has worked as a student leader in mental health advocacy and health promotion, and hopes to be admitted to medical school this year to practice a holistic approach to medicine as an M.D.